Traditionally, the type of fats present in the oil determine whether the cooking oil is “healthy” or “not healthy”. Trans fat and saturated fat are classified as bad fats, while polyunsaturated fats and monounsaturated fats are known as good fats. However, new research is showing that things may not be so simple. We all agree that trans fats are BAD – they the level of LDL cholesterol in our bodies, thus increasing the risk of heart diseases. However, the jury on saturated fats is still out. The “good fat bad fat” debate is complicated further by the omega-3 to 6 ratio. While both are polyunsaturated fats, too much omega-6 is actually not good for you – Omega 6 is pro-inflammatory, while omega 3 is anti-inflammatory and protective against heart disease. The optimum ratio is 1:1, but our typical modern diet consists of a ratio of 10-20:1! Omega 6 oils are found in many vegetable oils. Another point to note are chemical changes associated with heat. Some oils – notably sunflower and corn oil, produce aldehydes at cooking temperatures (170 -240 degrees). Aldehydes have been linked to numerous health problems such as cancer and liver disease and heart disease. Which Cooking Oils Should You Choose on Supermarket Shelves? You are probably overwhelmed by the types of cooking oils that are available in your nearest grocery store. With all the above information in mind, how do you choose which ones to use? I look at some oils from our local friendly NTUC FairPrice supermarket to give you a better idea! Coconut oil is very resistant to high heat cooking because of the high concentration (over 90%) of fatty acids in it. This oil is semi-solid at room temperature but in Singapore’s weather, it is likely to be in liquid form. This oil can last for months without going rancid. Coconut oil has powerful health benefits. It contains lauric acid, which can improve cholesterol and help kill bacteria. The fats can also boost metabolism and increase feelings of fullness compared to other oils. Cons: Strong smell may alter the taste of the food when used. Price is higher than most other oils. Obtained from rapeseeds, this light golden yellow color oil has a high concentration of monounsaturated and polyunsaturated fats. It also contains Omega-3 and Omega-6. Canola oil is a great choice because of its versatility and affordability. This neutral tasting, multi-purpose oil is excellent for frying, baking and even as a base for salad oil. Cons: Taste is bland. Not the healthiest of oils, but better than other vegetable oils. Olive oil contains mostly monounsaturated fats, and has been shown to lower the incidence of heart disease. 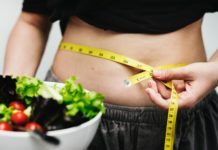 It is the main oil found in the Mediterranean diet, and recent studies even find that a diet high in olive oil does not lead to weight gain compared to a low fat diet. Despite the common idea that extra virgin olive oil should not be used for frying, research has shown that both extra virgin olive oil and olive oil generate very little toxic aldehydes when subjected to high temperatures. Cons: Choose your olive oils, especially extra virgin olive oils – not all olive oils are created equal. Some, like Bertoilli Extra Virgin Olive Oil, have failed to meet the extra-virgin olive oil standards, but penalties against adulteration of olive oil has improved the situation. Cons: Not the healthiest oil, but better than vegetable oils. Some of the oils which you should try to avoid as much as possible. As healthy as it may sound, oils labeled as ‘vegetable oil’ or ‘blended oil’ generally contain palm oil as their main ingredient. Hence, “vegetable oils” not only contain trans fats, saturated fats, but also do not have much omega-3 or omega-6 oils in them. There is unlikely any health benefits in consuming the oil. In fact, it will increase your risk of heart diseases in the long term. Do not be taken in by their labels when the manufacturers claim that their oils do not contain any cholesterol. Plant-based oils never contain cholesterol in the first place, and further more, it is already generally accepted that dietary cholesterol is not bad for health. These are a mixture of polyunsaturated and monounsaturated oils, mostly omega 6 and omega 9 oils. While sunflower oil has long thought to be healthy for consumption, the truth is that it is not: due to the lack of omega 3 fatty acids. Furthermore, new research now shows that the problem arises when it is subjected to high heat during cooking – aldehydes are formed, which potentially cause health problems. Corn oil is high in polyunsaturated and monounsaturated fats, which would have made it a good choice for cooking, if not for the fact that, like sunflower, oil, It also produces high levels of aldehydes on cooking. Hence, we should avoid using it for cooking. Choose oils which are high in monounsaturated fats and Omega 3 fats, and those which release as little aldehydes as possible on high heating. Taking into account all of the factors (price, taste, health benefits), the best oils for cooking would be olive oil and canola oil. No matter what the oil is, they all produce some amount of aldehydes – hence, the method of cooking is important: gentle sautee rather than deep frying is much better. Importantly, NEVER reheat oils as this will result in increased aldehyde formation. My top pick at NTUC FairPrice: FairPrice Canola Olive Oil Blend, 2L for $11.00This is the healthiest option you can get, at a price which will not break the piggy bank! 1) Emissions of volatile aldehydes from heated cooking oils Harinageswara Rao Katragadda et al. Disclaimer: I am (sadly) not sponsored by NTUC in the review of their coking oils. While the article is backed by scientific evidence and I aimed to provide as balanced a view as possible, the opibions expressed in this article are solely my own. Hi dr siew, can you advice is avocado oil are good for cooking? Compared to coconut oil and canola oil? Hi Lyin – thanks for your message. Avocado oil is generally a good oil for cooking. It has a lot of healthy fatty acid and anti-oxidants. The only drawback is that the taste can be overpowering for some light cooking, and that may alter the taste of the dish.